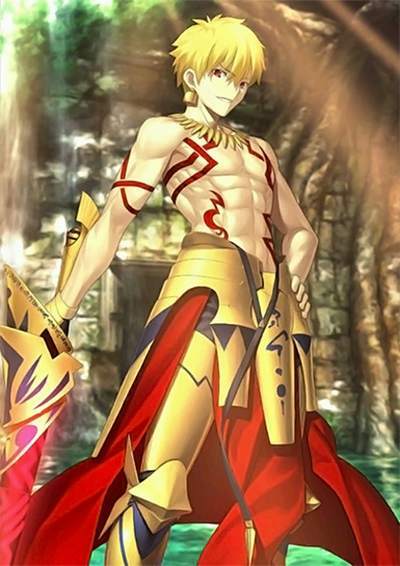 Learn all there is to know about 『Gilgamesh』 in FGO(Fate/Grand Order)! Guide includes Ascension / Skill Items, Stats, NP, Skill & Review. A top class attacker with great ATK stats. ・When forming a party consider that he doesn’t have defensive skills. 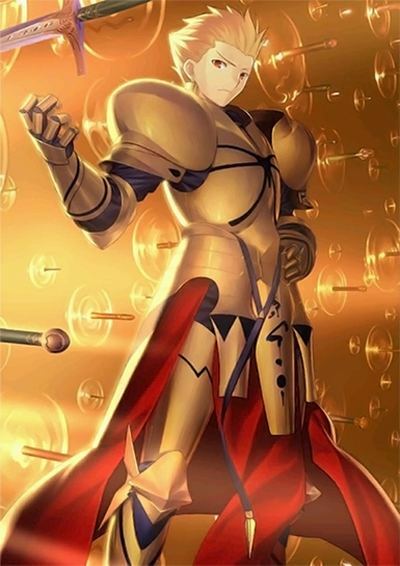 Gilgamesh can easily deal a huge Critical Damage due to his high ATK stats, C. Star Concentration and the NP that can be continuously triggered.If you compensate for his weaknesses with high rarity supports, he will become an optimal solution for the majority of High Difficulty Quests. 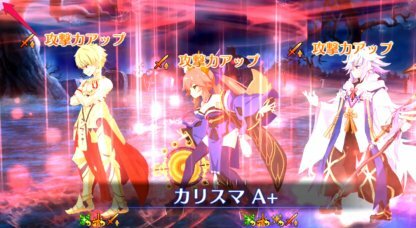 Gilgamesh’s NP 1.5 times more damage to〔Servant〕when OC1 ). The NP is not only effective against most enemies but it also increases its strength by 30% for 1 turn when OverCharged 1 time. It all makes him useful for farming and on various Quests. 「Charisma A+」Skill increases attacks of all party members for 3 turns. As a CT of the Skill is just 7〜5 turns, we recommend to use it on your very 1st turn to do it over again. Lv6 Skill effect will last for 6 turns If a battle lasts 9. Generally Gilgamesh’s B, A and Q cards hit 5 times and EX hits 8, which is a top tier servant result. 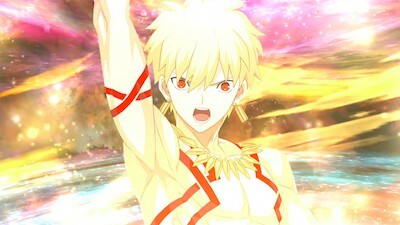 Gilgamesh has a good modifier of the 1st card bonus and can easily collect C. Stars and go for the NP. 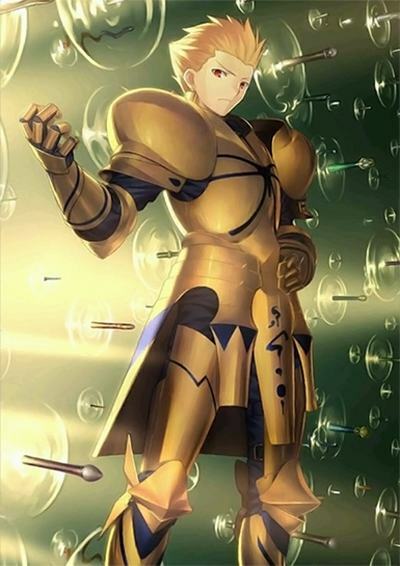 With「Golden Rule A」Skill he can gain more NP for 3 turns. It also possible to chrage it by 20～30％ with「Treasury of Babylon EX」Skill. The result will be better if you level up「Golden Rule A」Skill. 「Treasury of Babylon EX」Skill increases C. Stars concentration for 3 turns, although he already can gather many C. Stars on his own. Dealing Critical Damage also gives the NP gauge a great boost.「Independent Action」Class Skill effect and good ATK stats help a lot as well. Gilgamesh has BBAAQ cards. As a Buster he does a lot of damage and 2 Arts Command Cards make it easier to make Arts chains. In addition, Gilgamesh works well with supports who have several Arts cards in their inventory. Gilgamesh is one of the minority of 5★ Archers who focuses on dealing damage only, which significantly lowers his chances to survive in a battle. You should always keep in mind that he lacks durability because he doesn’t have anything to counter Enemy NPs and Critical Attacks. 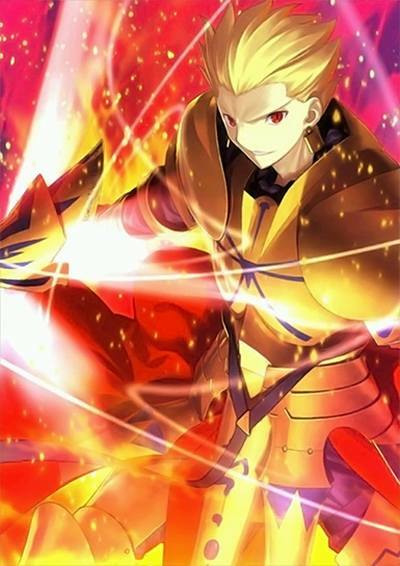 Although Gilgamesh can collect a fair amount of C. Stars if you place his Quick card first, you still need the help of Supports’ Star Gathering Rate Buffs and CEs. Keep in mind that you it’s probably not going to end up well if your party is focused on damage only, because he really depends on servants. To reveal Gilgamesh’s potential you are going to need a lot of High Rarity Supports and Craft Essences, which all are combined well together. 「Golden Rule A」Skill will bring much better results after you raise its level. When you do Critical Attacks or Overkill it’s possible to gain a lot of NP with his own Arts cards only. Depending on your NP gauge, you should aim for triggering the NP over again. It’s possible to use him for Farming with the NP, as in addition to having a powerful multi-target NP he can charge the NP by 30%(MAX) and buff all ally attacks for 3 Turns. He can even farm on his own by instantly triggering the NP if you equip the right Craft Essence.